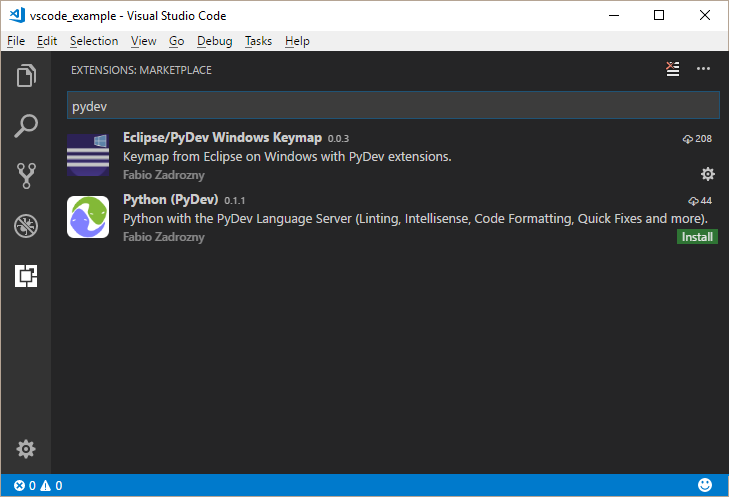 To install PyDev on VSCode, search for PyDev in the extensions marketplace and install it. locally to point to the proper Java Home in your Visual Studio Code installation (note that the Java Home is the directory which contains the /bin/java executable). Note: you have to restart Visual Studio Code after changing this setting.